• What is a manufacturing rebate on a newToyota? 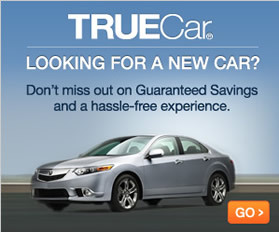 • What is a cash back incentive on new Toyota? • What is a low interest lease incentive? • How do rebates and low interest rates work when buying a Toyota? • What is Toyota Care? • What is the Toyota College Graduate Program? • What is the Toyota Military Rebate? • What is the Toyota Repeat Customers (Loyalty) program? • What is the Toyota iFi Program? What is a manufacturing rebate on a Toyota? This is a type of incentive offered by manufacturers who want to provide a discount on cars that are overstocked. They might also offer these discounted prices through the manufacturer’s rebate on vehicles that are not selling quickly. These rebates motivate customers to buy a certain model. It also helps the manufacturer to boost sales during a period where there is external pressures being applied to the business. The rebates are more likely to be offered under conditions where the manufacturer is unable to meet sales targets. What is a cash incentive on a Toyota? A cash incentive is a type of rebate offered by the dealer to the customer. This is generally used as a method of convincing the customer to purchase a particular vehicle. This is sometimes called cash-back or a cash rebate offer. The cash money can be used in several different ways, and this depends on the customer’s situation. For example, the money might be used as a way of offsetting the negative equity on a trade-in vehicle. It can also be used as a down payment. What is a low interest lease incentive? Lease incentives are offered by the manufacturer as a way of providing an incentive for the customer to enter into a leasing contract. The lease incentive is often used as a way to promote the lease option instead of a payment plan that leads to ownership. The lease incentive can be structured in various different ways. In all cases, the dealer uses some available rebate money and applies it towards the lease. This enables the customer to enjoy a benefit for leasing a car instead of buying it. How do rebates and low interest rates work when buying a new Toyota? Rebates are discounts that can be offered by the dealer or the manufacturer. There are multiple methods used for calculating these rebates. 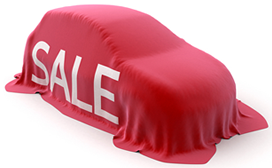 For example, the manufacturer often offers the dealer a rebate on certain types of vehicles in order to boost sales. The rebate can also come in the form of a cash incentive or a lease incentive. The rebate is calculated according to the amount of money the dealer or manufacturer is willing to negotiate in order to close the deal. The customer can take advantage of these rebates by understanding what they are and how they are calculated. In the case of invoice rebates, the actual amount of the dealer’s leverage is not known, but customers can make an educated guess in order to pressure the dealer into offering more in terms of the rebate. Low interest rates are not the same as rebates because they only apply to the formula that is used to calculate the monthly payment. The rebate applies to the sticker price of the car, which can be negotiated using one of the various methods described above. The interest rate on a vehicle is calculated by multiplying the rate and the price together. For example, if a vehicle has a sticker price of $40,000 with a 6 percent interest rate, the monthly payment will be around $660 if the loan must be paid within five years. Under the same conditions, the monthly payment will drop to around $600 if the interest rate is 3 percent. What is the Toyota Care Program? Proper maintenance is vital for a new vehicle. To uphold safety and reliability, Toyota provides a free car care program and complimentary roadside assistance to a person buying or leasing a qualifying vehicle. Coverage lasts throughout the first two years of ownership or up to 25,000 miles. What is the Toyota College Graduate Program? The first purchase of a college graduate is commonly a new car. Whether a person has obtained a degree within the last two years or is planning to graduate soon, it is possible to apply for this finance plan and receive a $750 rebate. To help college graduates facing student loans and other expenses, Toyota offers a finance plan with generous features. What is the Toyota Military Rebate? Toyota is grateful for the men and women who sacrifice their lives for this country. The manufacturer wants to give back to all military personnel and offer $500 toward the purchase or lease of a new car. Behind every successful military person is a dedicated family. Toyota realizes service begins at home, so the rebate extends to household members of a serviceman as well. What is the Toyota Repeat Customers Program? Cars do not last forever. When a person is interested in a new vehicle, Toyota offers an incentive to a past customer. Toyota Financial Services is prepared to give a special bonus to a repeat buyer. The Encore Program is an excellent way for a returning customer to receive a discount. To be eligible for the Encore Program, a person must have financed or leased a car through Toyota Financial Services. To learn more about this and other potential benefits, it is essential to consult with a local dealer. What is the Toyota iFi Program? Nothing should come between a person and a Toyota vehicle. Poor credit may be a roadblock, especially when a customer is contemplating a lease or a loan. However, Toyota Financial Services has a solution that lets a buyer with limited credit make a purchase. Through iFi, almost everyone can drive away in a qualifying Toyota model. This program helps a qualified buyer begin building a positive credit record as well.